Don’t throw away the seeds from your pumpkin or squash! Roasted seeds are a delicious autumn treat that is packed with protein, fiber, vitamins and minerals and are so easy to make. 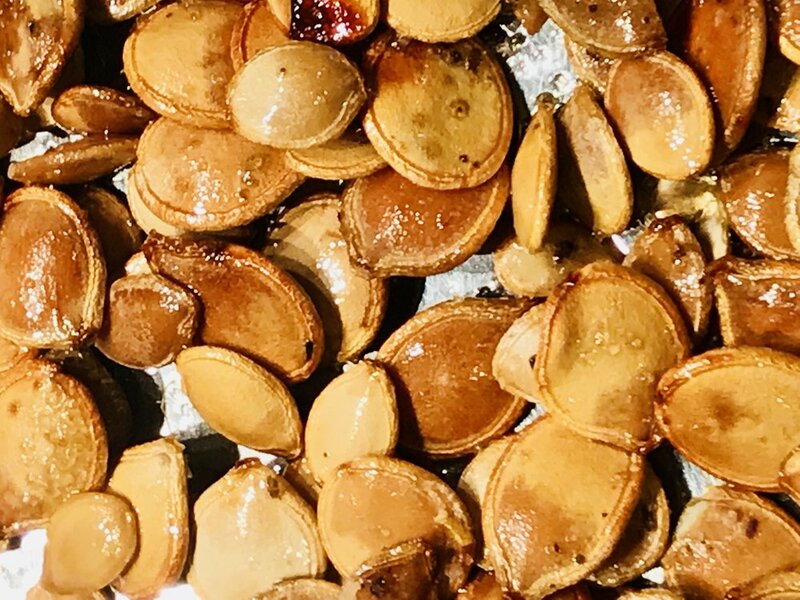 These Delicata squash seeds taste like buttered popcorn and make the perfect salty, crunchy, toasty snack you and your family will love! Cut squash and scoop the seeds from the cavity. Place in colander under running water and remove any squash flesh. Dump seeds on paper towel and allow to dry. When seeds are dry place them on a baking sheet and drizzle with small amount of oil, sprinkle with salt and pepper. Toss the seeds until they are evenly coated and roast until they are just starting to brown, about 20-25 minutes, stirring about halfway through. Remove seeds from oven and let cool. Enjoy immediately or keep for a few days in an airtight container.